This four day technologist focused course is held at the Institute of Advanced Imaging in Irvine, California. The pre-requisite online course is a knowledge check based on multi-slice technology. This instructor led course is designed as to be interactive with plenty of hands-on experience on fully-functional equipment to facilitate a smooth transition to your new CT system. 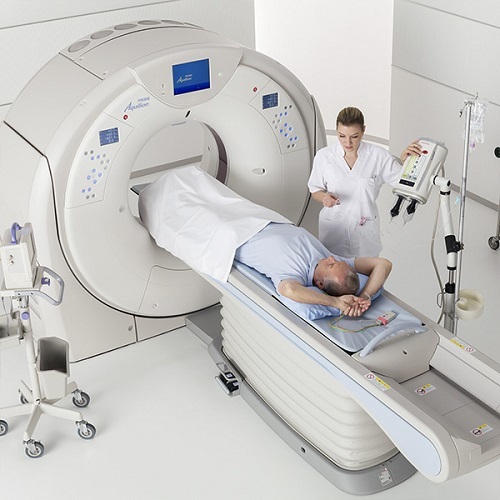 This program utilizes the latest Canon Aquilion ONE: Genesis Edition Advanced CT system. At the completion of the course you will be proficient in the following applications and operations: principles of volumetric and helical acquisition, protocol and parameter manipulation, image processing and workflows for basic and advanced imaging studies. This course is all inclusive: tuition, airfare (booked by Canon), lodging and meals.